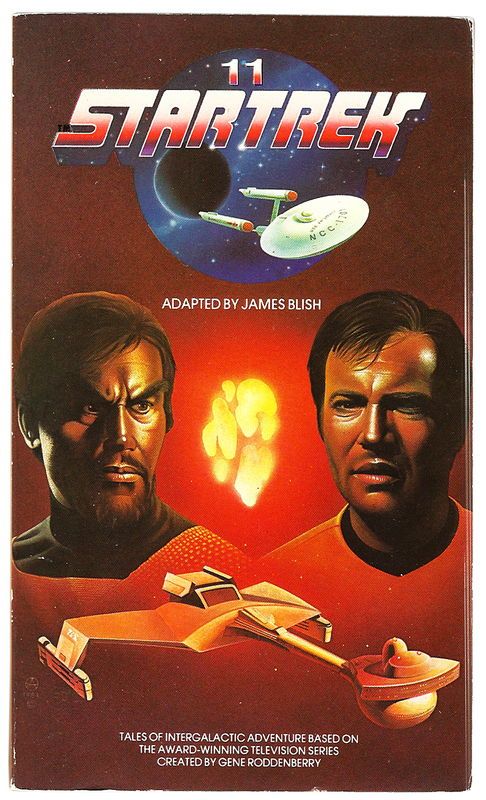 Paperback covers #6: Corgi Books’ Star Trek Adaptions | 'TAIN'T THE MEAT… IT'S THE HUMANITY! 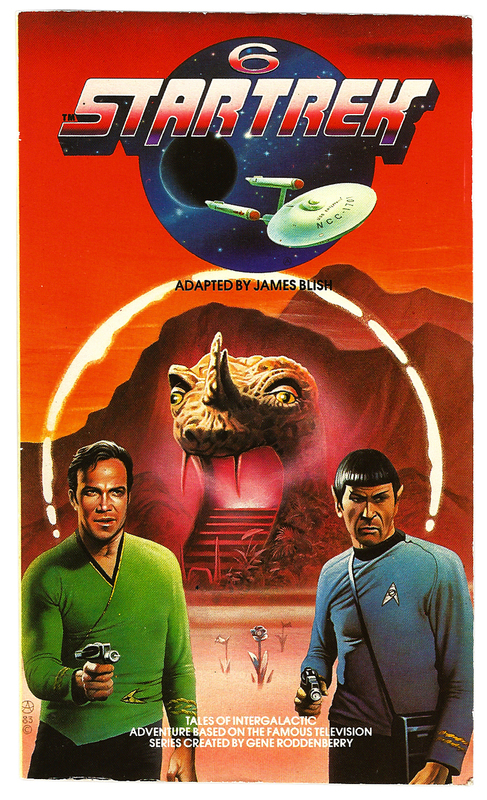 A few months ago I posted an article celebrating the covers of Bantam Books’ Star Trek adaptations from the 1970’s. 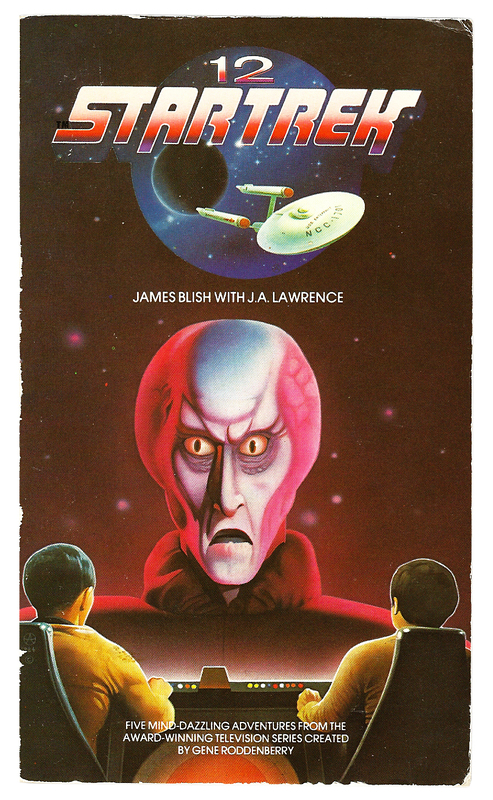 That post received a fair amount of traction so I thought it might be interesting to post the covers from UK publisher Corgi Books’ reissues from the mid-1980s. 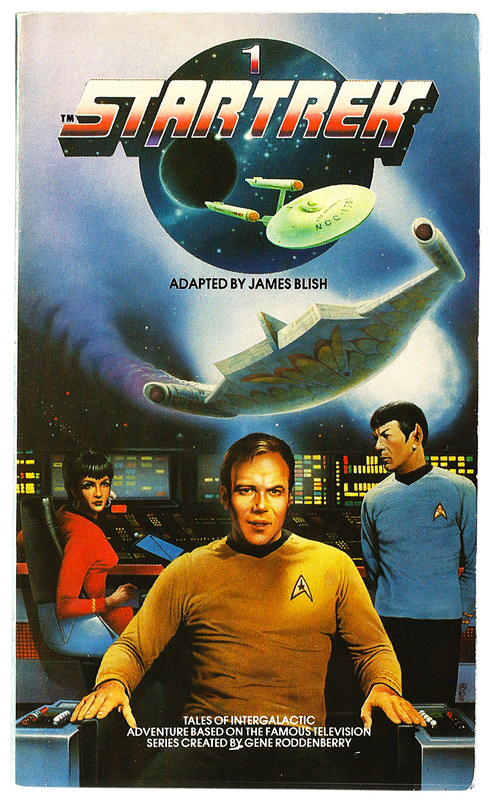 Written by science fiction author James Blish, and adapted from the scripts from the original TV series, the twelve Star Trek volumes proved best-sellers for US publisher Bantam in the 1970s. 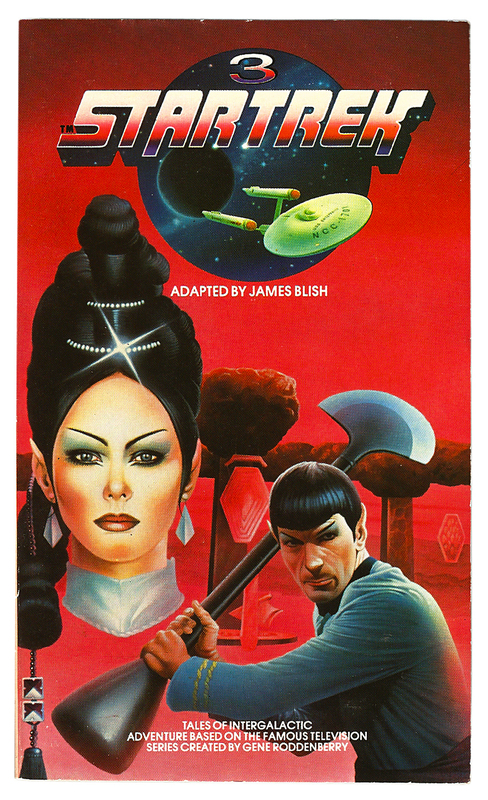 Between 1984 and 1985 Bantam’s UK subsidiary Corgi Books reissued the books featuring newly commissioned artwork from popular fantasy artist Chris Achilleos. Unlike the earlier Bantam covers, which featured stylised, almost expressionist artwork, Achilleos’ made more use of photographic reference, and as a result the Corgi covers are far truer to the series than their US counterparts. 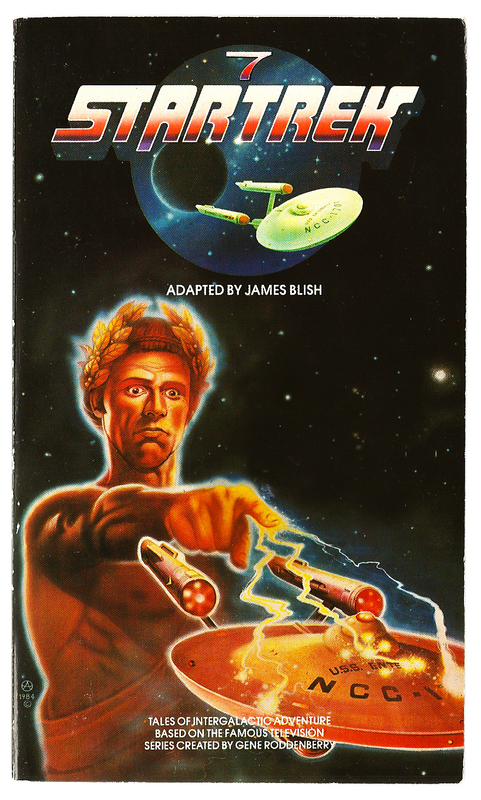 The majority of Achilleos’ paintings work very well: the cover to volume ten (inspired by the episode The Galileo Seven) features a great rendering of Spock; the cover to volume seven (Who Mourns for Adonais?) 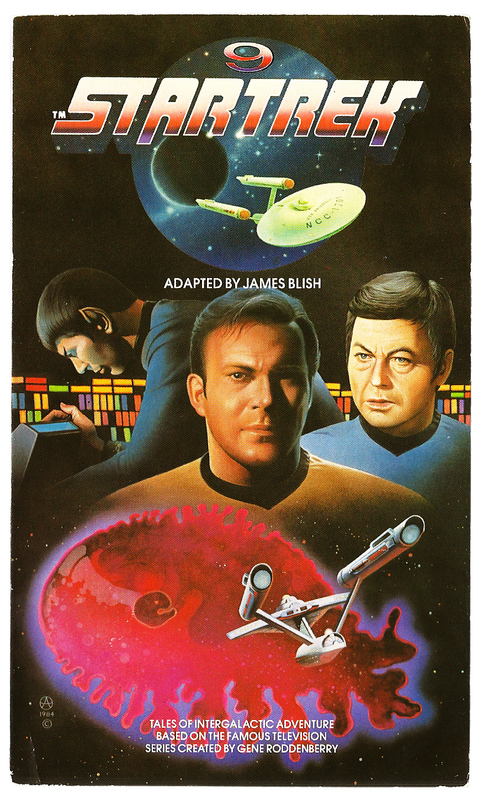 has plenty of action and his cover to volume nine does a nice job depicting the three principle cast members along with the Enterprise. 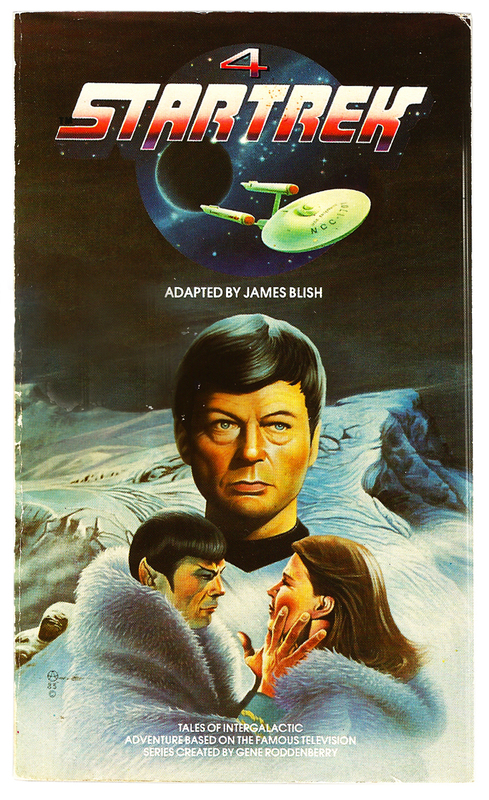 A couple of the covers fair less well: on volume six both Kirk and Spock don’t look quite right while on the cover to volume eight Kirk looks slightly constipated. 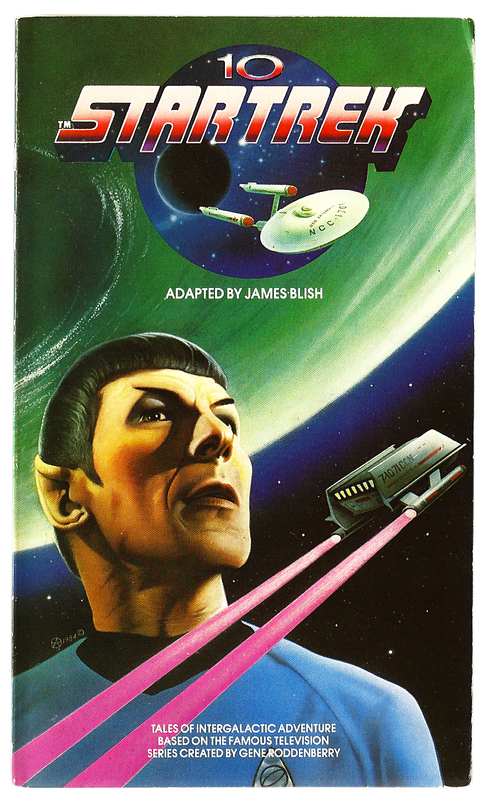 The covers also feature that air-brushed style that was popular in the Eighties. On the whole though Achilleos does a good job capturing the excitement and atmosphere of those classic episodes. 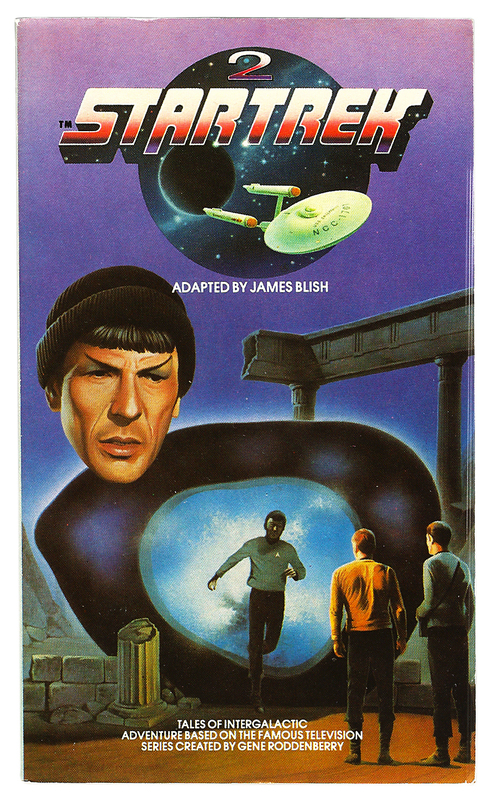 Apart from Achilleos artwork I other thing I recall liking about these covers was the Star Trek logo and Enterprise graphic that Corgi used – very eye-catching. 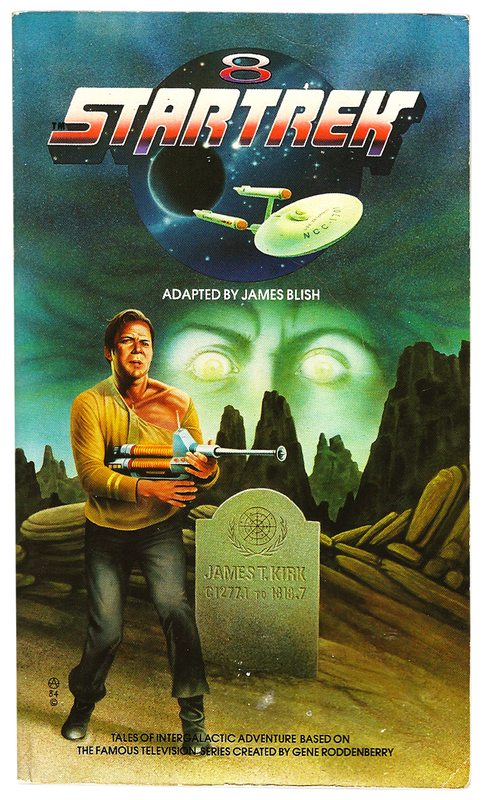 Also, Corgi were in the habit of reproducing the covers to the other books in the collection on the inside front and back covers in colour, a routine fixture today but back in the Eighties it was an unusual, and welcome, feature. 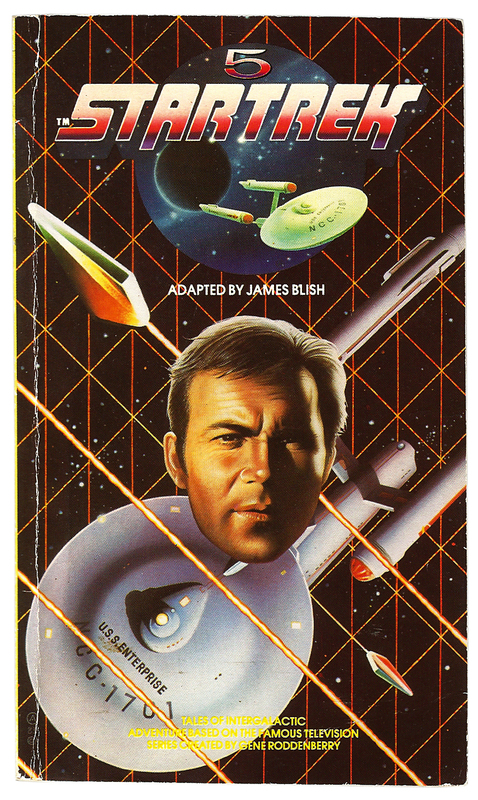 In the mid-Eighties Corgi also reissued some full-length novels inspired by the show, featuring wrap-around artwork by Chris Moore. I’ve looked at them here.